In today's edition of the Breeders' Cup News Minute, Scott Jagow reports from the Equestricon conference in downtown Louisville. Find out the latest developments on some of the Classic contenders plus the arrival of two-time Arc de Triomphe winner Enable to Churchill Downs. Catch up on the latest news and developments each day leading up to the World Championships with the Breeders' Cup News Minute. 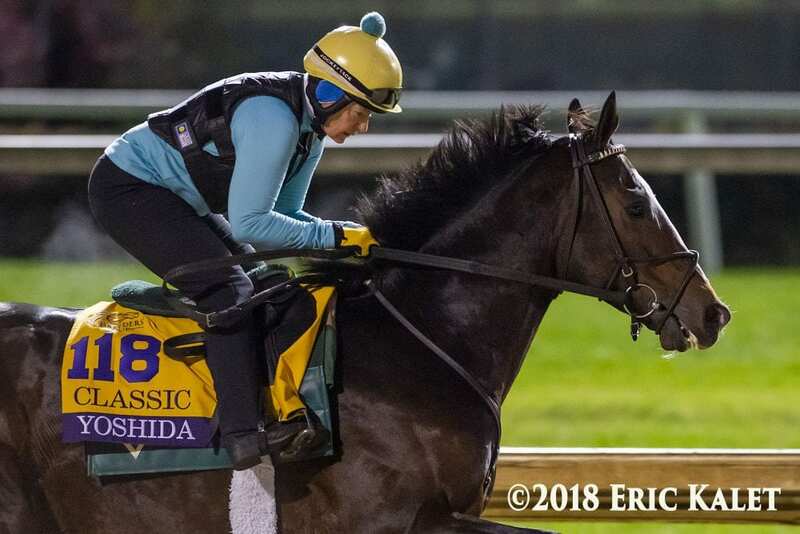 This entry was posted in Breeders' Cup, News Minute and tagged Breeders' Cup 2018, breeders' cup classic, Breeders' Cup News Minute, enable, roaring lion, Scott Jagow, seeking the soul, yoshida by Paulick Report Staff. Bookmark the permalink.